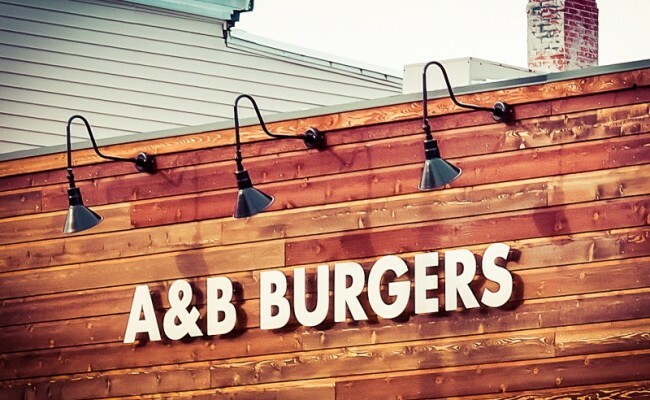 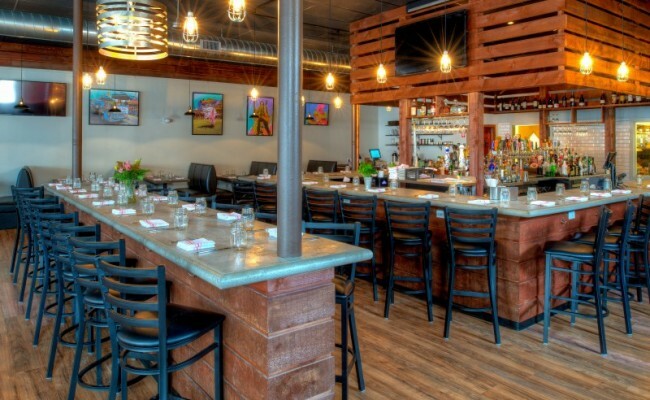 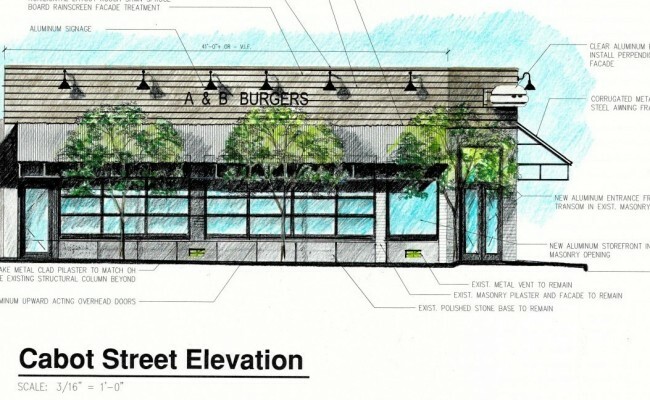 A&B Burgers commissioned Seger Architects, Inc. to design a trendy but casual space. 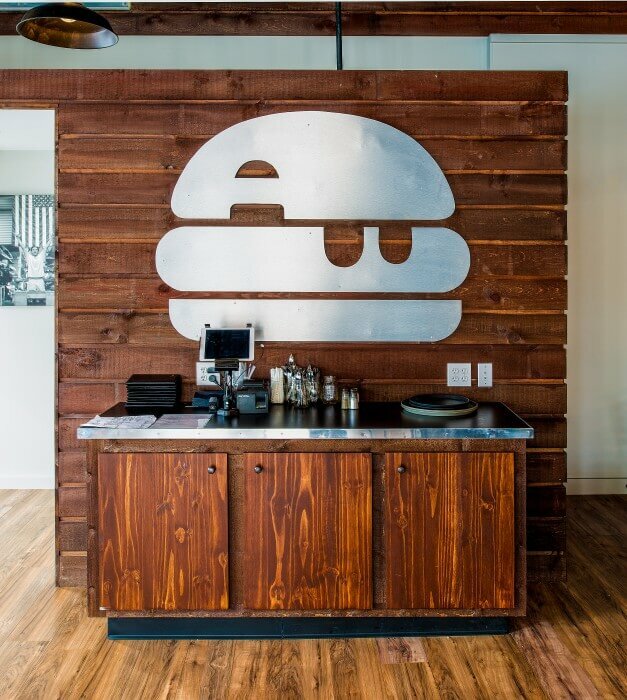 A&B Burgers took over the space being used as a skate park and formerly a food market. 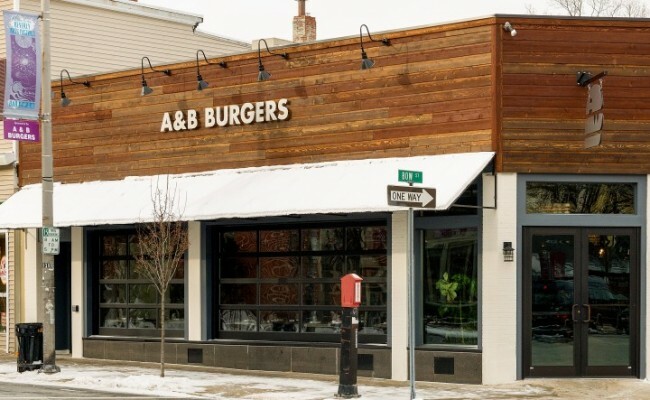 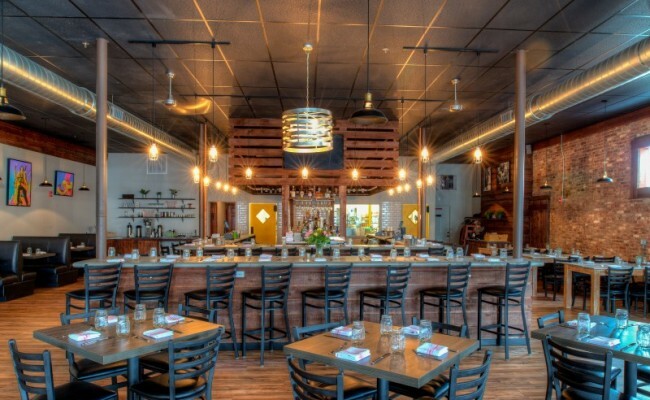 Working with Seger Architects, they completely renovated the space, imbuing their unique funky aesthetic and up-scale all american fare. 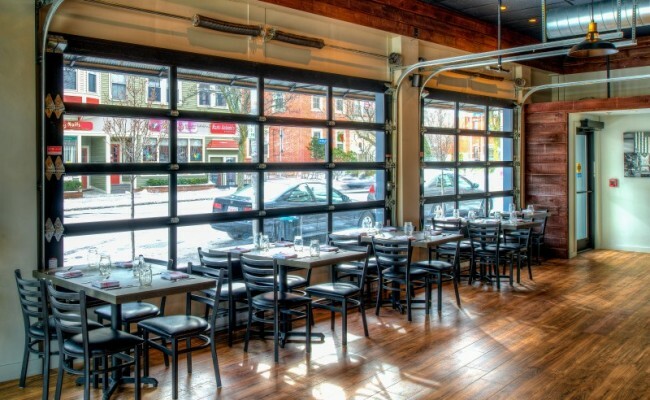 Large overhead garage doors are used to open the space to the sidewalk. 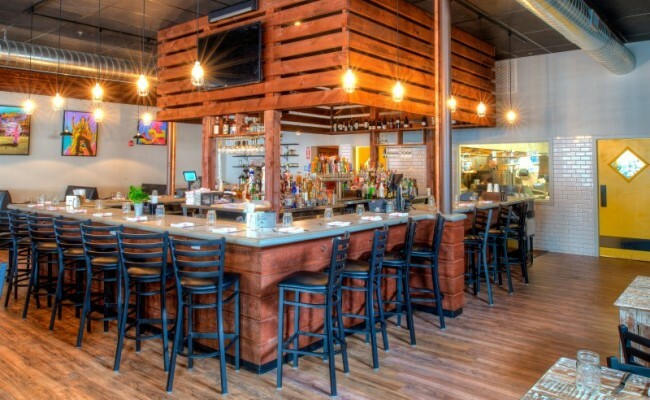 Natural materials together with the heavily rusticated metals and accents create an exciting eclectic, industrial feel to the space.